This is a somewhat unique book. 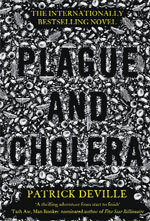 Plague and Cholera belongs to the almost extinct genre of fictionalised biography. 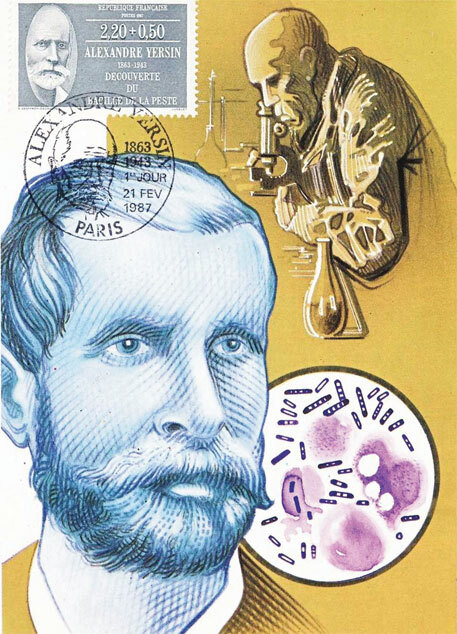 Its protagonist Alexandre Yersin is remembered as the discoverer of the bacillus responsible for the bubonic plague. But these are minor quibbles. The book is unique in another respect. Yersin is little known in the English-speaking world, and not much better-remembered in his adopted nation, France. The narrator-biographer inserts himself into the action as a time-travelling secret agent. He is the “invisible ghost of the future” who follows Yersin around, eavesdropping on conversations (but not reporting them, even though he always carries a moleskin-covered notebook). At one peculiar moment, this ghost, though “invisible”, manages to show something in his notebook to Yersin, who shrugs and walks off without a word. Yersin was born in Switzerland in 1862. As a young man he could well be seen as fickle, unable to stay put in any one career or locale. The young Yersin was eager to learn and explore the uncharted. He moved to Paris in the 1880s and researched in Louis Pasteur’s laboratory. But he was soon bitten by wanderlust, which led him to Vietnam. Here he mapped the mountains and treated poor people. Then on a trip to Hong Kong, Yersin isolated the bacillus responsible for the bubonic plague, which was later named after him (Yersinia pestis). Back in Vietnam, he sets about constructing his own private scientific garden utopia, profitably selling rubber and quinine from his own plantations. He even invents a cocaine-based soft drink with a “reinvigorating effect”, but does not patent it. Yersin comes across as a quintessential late 19th and early 20th century French scientist. He “dreams of infinite progress”, dreams which play out over his lifetime on two frontiers—in the science of microbiology, and in the more sinister march of European colonialism. Yersin is inspired by both Pasteur and David Livingstone. Yersin loathed politics, which he described as “filthy business”. Yet, his attitude towards the Vietnamese was not very different from that of many of his fellow colonists. Yersin comes across as a complex character: he loves travels and observing people. But he is also a recluse and does not enjoy the company of people for long. He is as far removed from basic affections as the colonial “paradise” he creates in Vietnam is removed from the reality of the wars at home. We are left with mixed feelings: to mourn the uncelebrated genius or criticise the politics of his times.